Tesla is on a seven stop-tour winter tour of Ontario and Quebec. Tesla took a pass on the Toronto auto show in mid-February, but it's promoting its brand and making the most of the auto crowd that was in the city during the same week. The electric-vehicle producer was busy displaying models, dispensing information and allowing test drives at the Ritz-Carleton, only a few blocks away from the Metro Toronto Convention Centre. 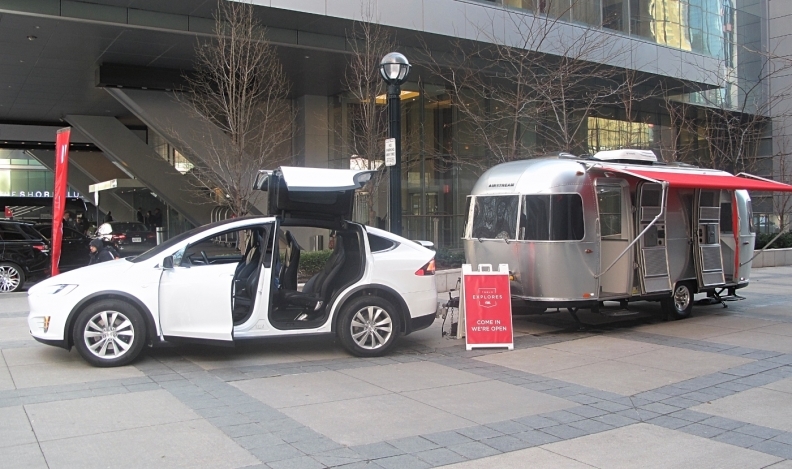 The Ritz-Carleton event was the first of a seven stop-tour winter tour of Ontario and Quebec by the Tesla mobile gallery, a specially outfitted and modified Airstream trailer. Much like the Tesla’s stationary galleries in its stories, the mobile version is staffed with product specialists and features interactive ways to explore Tesla products. A Model X tows the trailer to the various spots to demonstrate the SUV’s 2,270-kilogram (5,000-pound) towing capacity. A Tesla S sedan model is also part of the travelling festivities. After the Toronto stop, the entourage was headed to other high-end hotel visits at Mont Tremblant, which concluded Sunday; Quebec City (Mar 8-12); Mont Sainte-Anne (Mar 15-19); Quebec City again (Mar 21-26); Brossard in the Montreal area (April 4-9); and Ottawa (April 20-24). 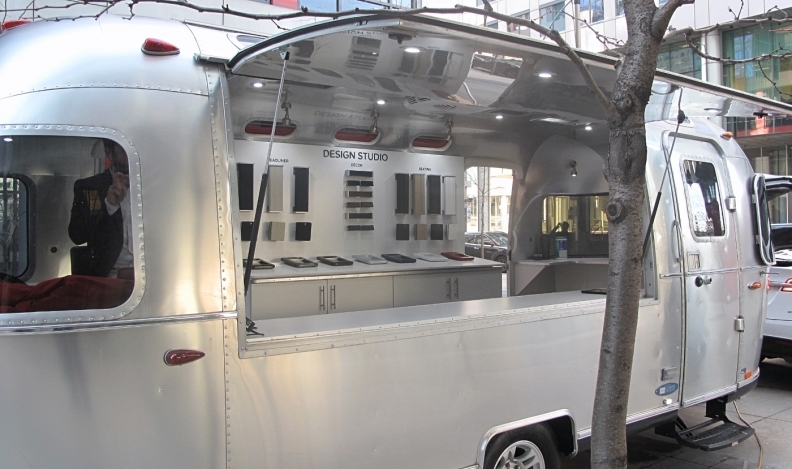 A mobile design centre is part of Tesla's travelling promotional tour. Meanwhile, Tesla recently opened a new sales and service location in Oakville, Ont., west of Toronto. The facility at 225 Wyecroft Rd., is Tesla’s third service centre in the GTA, joining centres in Mississauga and on Lawrence Road in Toronto’s east end. Canada was the first international location for a Tesla showroom when it opened its store in the Yorkdale Mall in 2012. The Oakville facility is a retrofit from an existing building and doesn’t stray from far from the current Tesla template, with a gallery and delivery area up front, adjacent service department and lots of glass and visibility into the service tech area.